What will you be doing in 25 years? Send something to the future with the 75th anniversary time capsule! 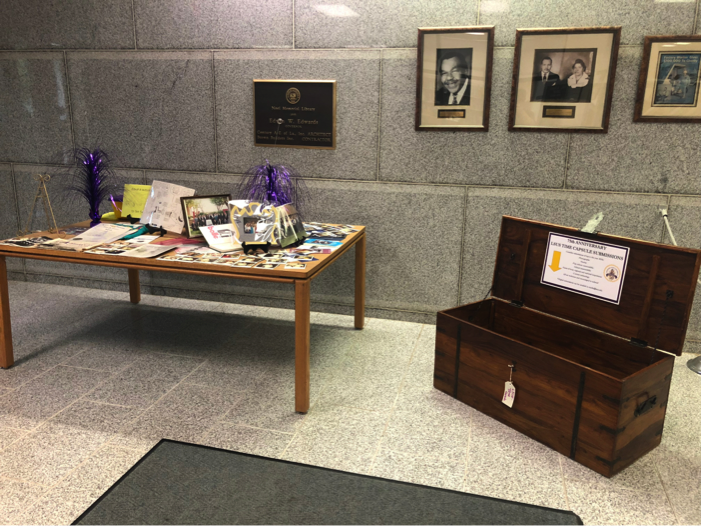 Last semester students got to see the time capsule opened and the whole 50-year history of LSUS displayed along with letters, comics, and other items from 1992. History professors, Dr. Gary Joiner and Dr. Cheryl White were the first ones to open the time capsule and display what students and faculty had put in to send to 2017. Now it is your turn! The time capsule is on the first floor of the library and you are invited to put something in to be opened in 2042. Write a letter, grab a newspaper, take photos of you and your friends, gas stations with the price, your car, or an advertisement. Or put items like a 2-dollar bill, a 2017 penny, ticket stubs. Put in anything you think will change in the next 25 years.